What made an impression on me in 2018? I observe above all that the balance between politics and poetics in the art world is often missing. I have seen and felt some marvellous things. What strikes me is that the interesting productions look back at historical masterpieces. Romeo Castellucci imposing silence on the orchestra in his version of 'The Magic Flute'. The power of our ‘Western’ culture and the desperation of our contemporary poetics here explode in your face. Kate Lindsey’s portrayal of Nerone in the version of Monteverdi’s 'L’incoronazione di Poppea' she created at Salzburg Festspiele. The pitiless manner in which she questions her voice and femininity is simply masterly. In Paris I saw Wajdi Mouawad’s tremendous solo 'Inflammation du verbe vivre', in which he takes a sublime look back at the Greek tragedies. 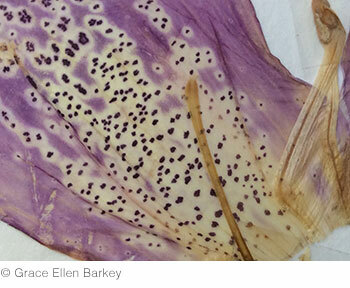 Rage and beauty: the thing here is to find a balance between them. But beauty in itself simply doesn’t exist. And if rage dominates it soon becomes gibberish. But when the balance is found! The dark force in the Kuiperskaai version of Hamlet: Victor Lauwers makes no concessions to the tempo of our times. Hamlet is a bone gnawed bare, forgotten in a corner with no fear of the weight of history. 'Lam Gods' by the impressive Milo Rau is an important event. A civic theatre that has a new face. The fact that one is surprised that Muslim women are shocked and draw back raises questions about the ‘entertainment value’ of this project. And is this possibly the result of the political artist’s drive? Or am I taking too political a view? Art can surely only exist thanks to the power of the nuance, the confusion that arises when the audience no longer understands and a bewildered look appears in their eyes. Or a fond look of horror? I want to be politically active and improve the world, clearly and self-confidently. But in my art I turn the world upside down with the courage that derives from hope. And it gets even more difficult. Recently I was in Hebron, on the West Bank, the city of Abraham or Ibrahim, the black hole of our civilisation. Where colonists from Chicago spit on Palestinians. Too harrowing for words. Rage here too, but even more sorrow. Several Palestinian artists told me that there was no more time for poetry. Art is now only allowed when in the service of resistance. There is too much pain, too much humiliation and too much hatred. And then what do you do with your Huysmans and your pretentious ideas about art and the power of poetry? I went in despair to Bethlehem for coffee in the snooty Banksy hotel (up to 450 dollars for a room, but with a marvellous view of the degrading wall and Banksy’s graffiti. Long live the activist tourist!) and realised that I understood it even less. So I started to walk to Jerusalem, 7 kilometres down the road, but after five-hundred metres my path was blocked by an extremely young Israeli soldier. She ordered me to go back. You can’t walk from Palestine to Israel. So I looked for a taxi with the right sort of number-plate and, two hours and three checkpoints later, the 7 kilometres had been covered. In Jerusalem I looked in amazement at the street-trader selling both yarmulkes and keffiyehs. The two-state solution was there for the asking on a stall in the street. I had an agreeable conversation with the organisers of the Israel Festival. They would like to stage 'The blind poet' at the next festival. An ode to the Syrian poet Abu al ‘ala al Ma’arri. In Arabic. I thought this was a great proposal, but I also told them that Needcompany and I had been refusing offers from Israel for thirty years. But after my visit to Hebron and other cities and refugee camps I’m not so sure. A boycott leaves a lot of people in the lurch. Nick Cave says that signing the BDS manifesto (a total cultural boycott of Israel, following the example of the apartheid boycott) is cowardly and shameful. He is wrong. I think it is more like naïve and ignorant. The Israeli writer David Grossman told me it was better to go. That not going signified nothing. He too is one of the many Israelis who are ashamed of their government and find its policy towards Palestine abhorrent. And who ask for help in their opposition. The two resistance groups, the Palestinian and the Israeli, are humiliated and broken up by their own governments. It’s a Catch-22: not going to Israel means that you don’t take the power of your poetics seriously. Going may mean the death of those poetics. 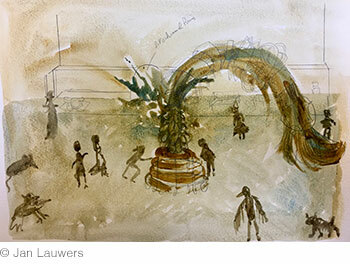 January sees the start of rehearsals for All the good, the new creation by Jan Lauwers & Needcompany. Jan Lauwers is its author and director. The music is by Maarten Seghers. All the good is a chronicle of loss and hope at a time when Europe is throwing away its values and large numbers of people are allowing themselves to be enticed into hatred and ignorance. All the good is also an account of a family of artists with their everyday concerns and the constant presence of death, which imposes itself mercilessly both in the security of their home and in the outside world. World premiere on 22 August 2019 at Ruhrtriennale. Begin the Beguine is the last script the legendary film director John Cassavetes wrote before his death. This pitch-black allegory of Eros and Thanatos never got any further than the preparatory stage, however. That is until the German publisher S. Fischer Verlag and Faces Distribution Corporation asked Jan Lauwers to stage this masterpiece. 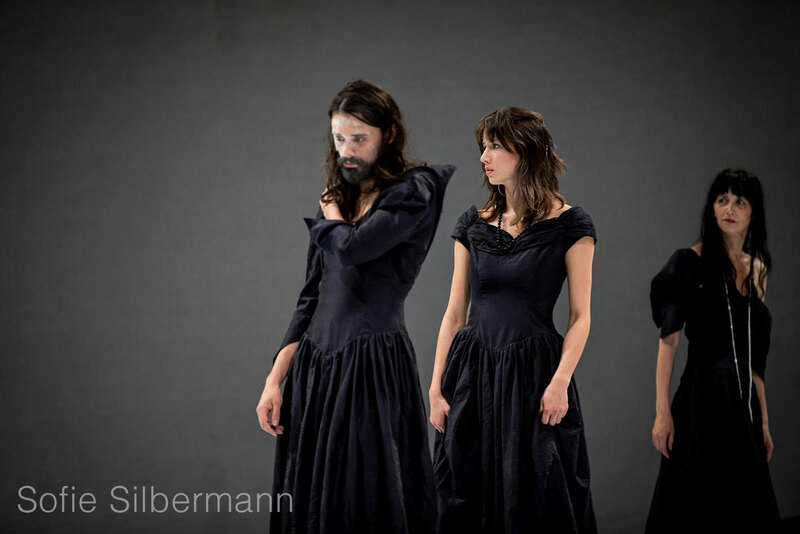 He created the first version in 2014, for the Burgtheater in Vienna. This was followed three years later by a second version in association with ‘Humain trop humain – CDN Montpellier’. 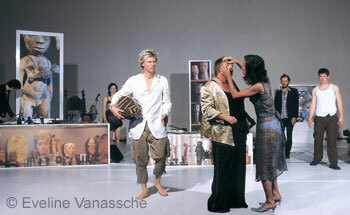 In this version the actors Gonzalo Cunill and Juan Navarro enter into confrontation with Romy Louise Lauwers and Inge Van Bruystegem. 'Begin the Beguine' is just as absurd as a play by Beckett, as exclusive as a men-only night and as philosophical as a comedy by Chekhov. The perfect director for this robust mixture would have been Cassavetes himself, but he died 25 years ago. The only director who can provide the required combination of empathy and cool is perhaps the Belgian Jan Lauwers. Sofía Hernández Chong Cuy, the director of Witte de With, and Samuel Saelemakers, its curator, have invited Grace Ellen Barkey to add visual and performative content to 'An exhibition with an audio script by Sarah Demeuse and Wendy Tronrud, as well as a soundtrack by Mario García Torres in collaboration with Sol Oosel' (the current exhibition) in February. Barkey will occupy the third floor, with several installations that invite the viewer to become part of her sense-oriented work. Her installations form a study of the transposition from a space to a narrowness. She has been collecting, photographing and filming flowers, leaves and other flora from her town garden and immediate surroundings. This provides a claustrophobic look at the notion that people are mortal while nature is eternal. Beauty is only appealing when it is transient. Only then does it acquire a history. Needcompany will be reviewing its exceptional joint project with the Province of West Flanders on War and Turpentine. Together with GoodPlanet Belgium the company developed an educational programme in which 120 pupils and youngsters of ethnic backgrounds who are learning Dutch came from six secondary schools to take part in a study day on ‘art and memory’ at our rehearsal studio in Sint-Jans-Molenbeek before watching the performance in their home town. The short films made by the Het Peloton production company will be shown to the general public in Bruges on 18 January. Needcompany is on tour in Belgium and abroad. War and Turpentine is on at the Théâtre National in Brussels on 23, 24 and 25 January, at the Teatros del Canal in Madrid on 28 and 29 March, at the Opéra de Dijon on 4 and 5 April and at MC93 - Maison de la culture de Bobigny (Paris) on 9 and 10 April. The prizewinning Isabella’s room is on at the Scène Nationale 61 d'Alençon-Flers on 19 March, at MC93 - Maison de la culture de Bobigny (Paris) on 12 and 13 April and at the ILT Festival in Aarhus on 23 and 24 May. The blind poet will be on at HNK Zajc in Rijeka on 24 March. Grace Ellen Barkey is also on tour, in Hamlet, the latest creation by Kuiperskaai. 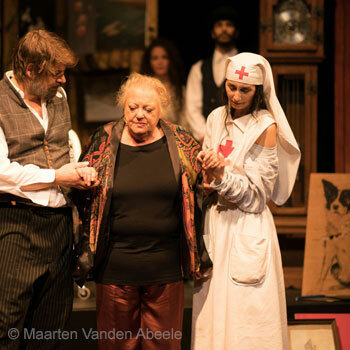 She plays the struggling Gertrude alongside her son Victor Lauwers, who plays Prince Hamlet, and her daughter Romy Louise Lauwers as Ophelia. For more info and a list of performances go to Toneelhuis.be.